This is a 21+ event at The Tiger Bar, 317 NW Broadway, Portland, OR. 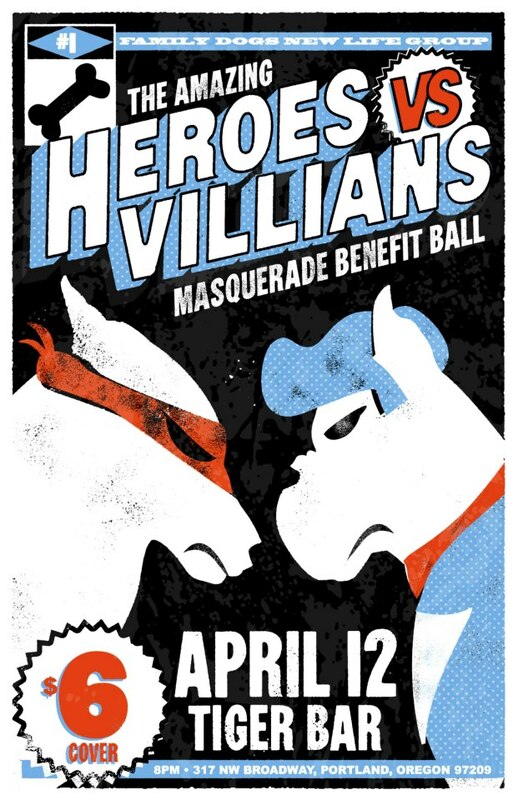 Dress as your favorite Super Hero or Super Villain, watch live performances, see beautiful local art, and local vendors .. and support Family Dogs New Life Non Profit No Kill Shelter. Costume contest, raffle prizes, photo booth and more. $6/cover. Details FamilyDogsNewLife.org.